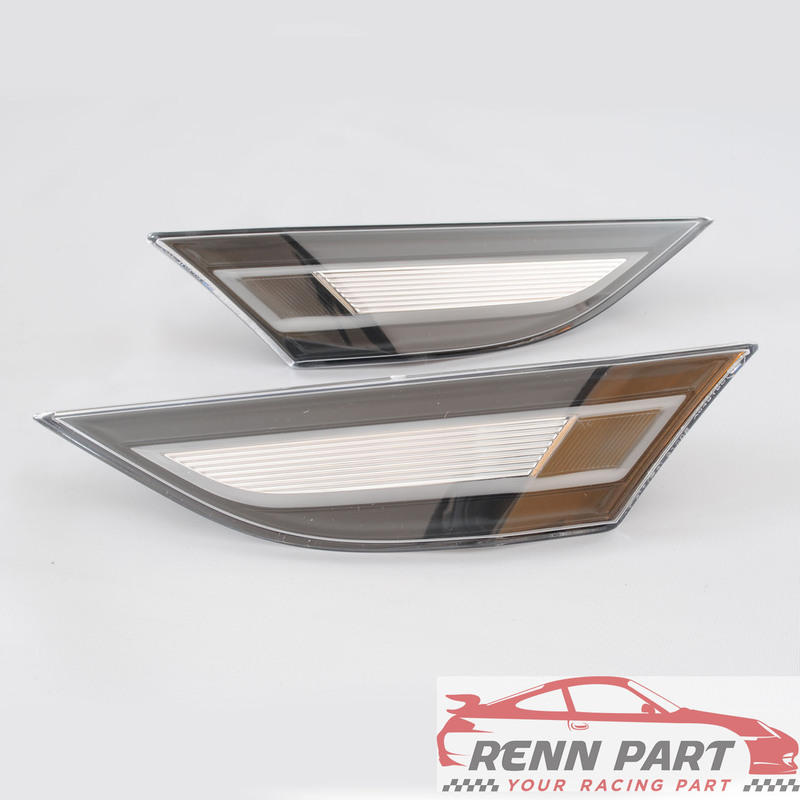 Genuine Porsche clear LED side marker light set. Get rid of those ugly orange side marker lights! Installs in two minutes, simply pull old side marker from wheel well, unplug wire, plug in new light, and snap back in. **Not suitable for GT3RS, if you need these for a GT3RS please contact us!